UTEC identifies, acquires, markets and sells a specialized line of chemicals used in the explosives and energetic materials industry. UTEC has contracts worldwide with various manufacturers of these types of chemicals as well as end users of these chemicals. 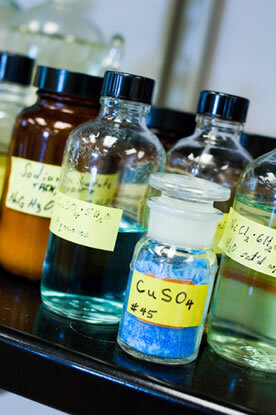 UTEC also custom manufactures specific chemical combinations and blends of chemicals specific to various customers specific formulation needs. UTEC Corp’s in-house research and development team has identified and made recommendations to end users as to which specific chemical raw ingredients would be best applicable in their particular formulation or manufacturing process. UTEC has the ability to “screen” a variety of raw ingredient materials for you if you have a specific need in mind. Contact UTEC for any matters involving particular chemicals or raw materials you may need for your explosives or energetic materials production/applications.